All base coat / clear coat refinishes performed by Auto Body Services have a Lifetime Warranty against product failure. Single stage refinishes performed by Auto Body Services have a one (1) year warranty against paint failure. In addition to the warranties provided by Auto Body Services, our paint manufacturer, BASF, will provide its own warranty against paint failure. This warranty will not cover paint failures resulting from underlying rust, normal wear and tear, rock chips, or pre-existing paint problems. There is no warranty provided by Auto Body Services on sub-contracted paint work. All warranties are voided upon transfer of vehicle ownership. There is a ninety (90) day limited warranty on used parts installed by Auto Body Services excluding suspension, air conditioning, electrical assembly and / or all other mechanical parts. Warranties on those items will vary depending on the manufacturer. The warranty of the parts manufacturer is the warranty we adhere to. Auto Body Services has no warranty on after market sheet metal. In order for warranties to be in effect and to be honored, the invoiced amount must be paid in full and the warranty work must either be performed by Auto Body Services, or approved by an officer, in writing, of Auto Body Services. All warranty claims must be accompanied by this warranty and the repair invoice. 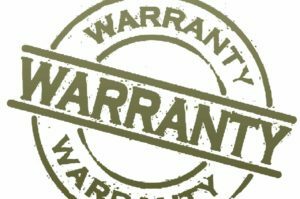 To keep this warranty in effect the customer must take proper care of refinished surfaces and must not abuse or neglect proper maintenance to keep repaired parts or assemblies in good working order. This limited warranty is honored by Auto Body Services only.